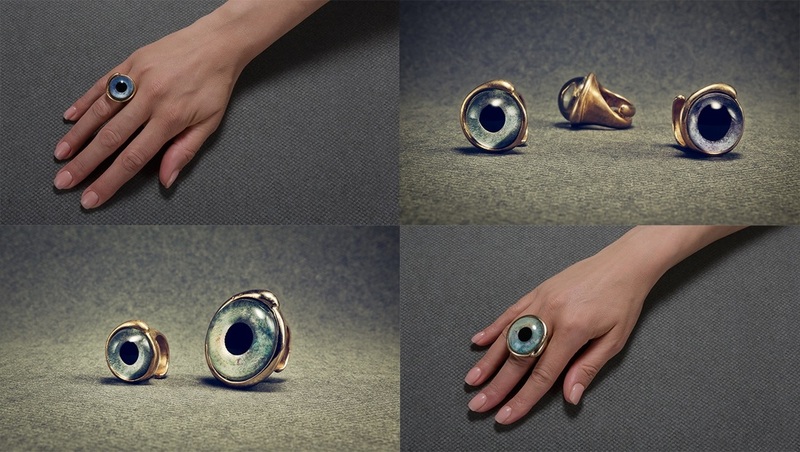 ​With an all-knowing, ever-watching stare, this “Ester” Eye Set Ring is truly unique. Definitely a conversation starter at any party or event. Whether you like it or not, this eye will watch your every move! Created and painted by hand in Milan, Italy, the color combination of this ring is made of acrylic resin and truly one-of-a-kind. It cannot be replicated. The collet is made of Bronze. Made in one size and can be adjusted at any time!